Conferences, seminars and meetings focused on the Raritan provide exciting opportunities to learn about research in complementary fields and best management practices, to network with professionals in the field, and for students to solicit interest and feedback when they showcase their own work. This section includes information about upcoming events as well as details about past conferences and workshops. When available, we include copies of presentations, proceeding summaries and copies of posters for your reference. Also in this section, is information about the Sustainable Raritan Awards. 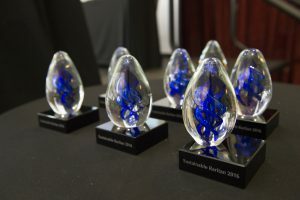 Since 2010, we have recognized outstanding achievement in efforts by our Raritan partners to revitalize our region, restore and protect our resources and promote the area as a premiere place to live, work and raise a family. We accept nominations throughout the year and announce the recipients each June during our annual conference. Learn more about the awards and past recipients here.